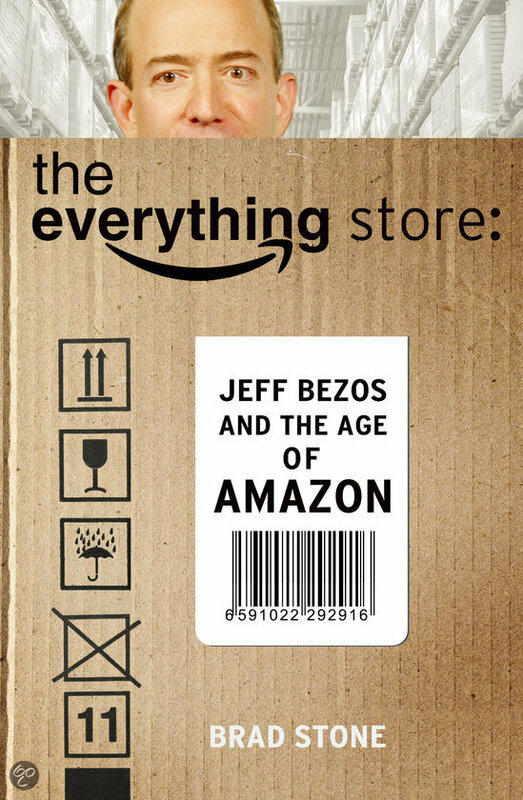 The idea of the everything store was simple: an Internet company that served as the intermediary between customers and manufacturers and sold nearly every type of product, all over the world. 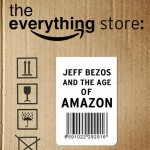 It is the story of Amazon.com, one of the most successful companies in the world. And the story of its driven founder Jeff Bezos. Frugality We try not to spend money on things that don’t matter to customers. Frugality breeds resourcefulness, self-sufficiency and invention. There are no extra points for headcount, budget size or fixed expense. All of this comes from Bezos himself. Amazon’s values are his business principles, molded through two decades of surviving in the thin atmosphere of low profit margins and fierce skepticism from the outside world. In a way, the entire company is scaffolding built around his brain—an amplification machine meant to disseminate his ingenuity and drive across the greatest possible radius. It was the combination of EC2 and S3—storage and compute, two primitives linked together—that transformed both AWS and the technology world. 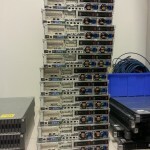 Startups no longer needed to spend their venture capital on buying servers and hiring specialized engineers to run them. Infrastructure costs were variable instead of fixed, and they could grow in direct proportion to revenues. It freed companies to experiment, to change their business models with a minimum of pain, and to keep up with the rapidly growing audiences of erupting social networks like Facebook and Twitter. Today in 2014 Amazon’s cloud keeps growing fast. It has invented a market in the computer industry with a great future. This entry was posted in Architecture, Retail, Tools and tagged algorithm, Amazon, etail, marketing, online on 2014/07/31 by PeterPaul. One of the leading portals on BigData, Dataconomy, had an interview with a colleague of mine on product recommendations systems. These are systems aimed towards personalizing content and recommending the ‘right’ products, in other words products that inspire customers. The article – The Science Behind the Finding the Perfect Product – is a nice read that covers quite some areas. At bol.com we use Hadoop for batches, and we have our own custom-built technology for the real-time part. 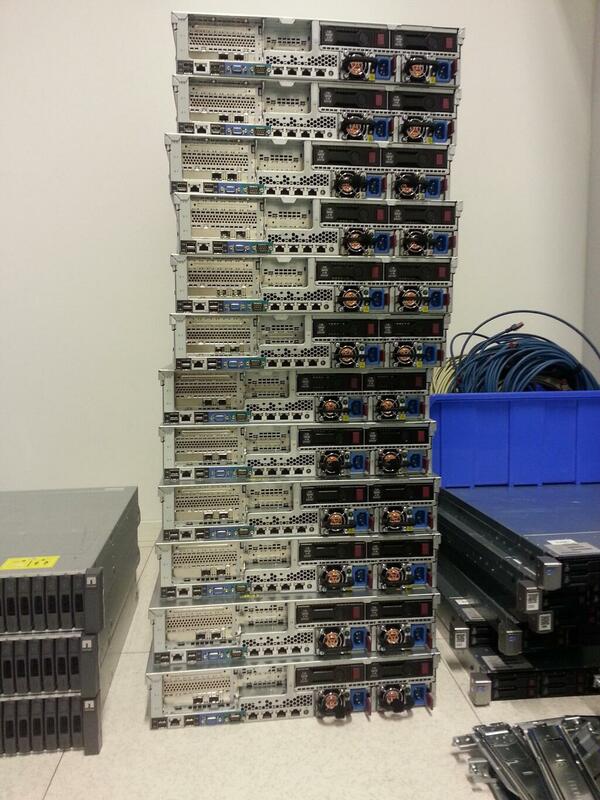 The picture with this blog post shows some of the new nodes that were added to the Hadoop cluster yust this week. This entry was posted in Architecture, Retail, Tools and tagged Architecture, etail, Hadoop, Innovation, MapReduce, Open Source, Recommendations, Retail, web on 2014/07/09 by PeterPaul.